Harcourts Excellence, previously known as Homenet Klerksdorp, has over a period of more than 40 years has been acknowledged for its professionalism and integrity. Harcourts Excellence became affiliated with the Harcourts International Real Estate Group in 2009. Harcourts Excellence currently operates in the KOSH (Klerksdorp, Orkney, Hartbeesfontein and Klerksdorp) area with a dynamic team of fully qualified and experienced Estate Agents. Striving for excellence in attending to the property needs of all their clients, the team sets high standards in order to deliver consistent professional service with integrity. 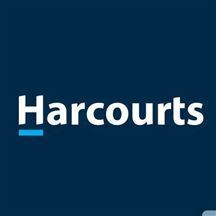 Harcourts Excellence became affiliated with the Harcourts International Real Estate Group in 2009. The Harcourts Group aims to remain the premier International Estate Agency network with offices all over the world. Harcourts South Africa currently has more than 135 offices country wide. *	skilled and experienced agents using the power of an International network. *	a combination of local and global knowledge and individual client attention. *	a National and International Referral Service. *	access to the full range of advertising media. * our listing strength in bringing buyers and sellers together. *	after sales service based on our desire to develop and maintain long-term relationships. *	using technology to optimize service levels. Professionalism and success come naturally to this business woman who prides herself on being determined, tenacious and ambitious. 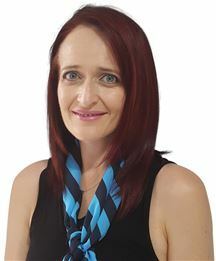 Adel Krugel, dynamic business owner of Harcourts Excellence and Rentalsdotcom serving the KOSH area - which includes Klerksdorp, Orkney, Stilfontein, and Hartbeesfontein. Adel has 15 years experience in Real Estate - having started her career in 2000 as real estate agent at Homenet. In 2004 she became the proud owner of Homenet Klerksdorp. The group rebranded in 2009 when they became part of HARCOURTS, the biggest growing Real Estate brand globally with offices in Australia, New Zealand, the UK, the USA, China, Fiji... to name only a few - with more than 135 offices in South Africa. In 2010 the group also successfully launched an independent rental division known as RENTALSDOTCOM. Being focussed, tenacious and very determined Adel has successfully transformed from former English teacher and Head of Department in Education (with a BA Honns HED qualification) to a Real Estate specialist (Qualified Master Property Practitioner). Her various annual awards in Harcourts South Africa testify to her success. Her most recent awards include achieving the honor of being Top Sales Consultant 7th position nationally based on units sold in 2011. In 2012 she received various Golden and Platinum awards based on commission earned quarterly in both Harcourts and Rentalsdotcom. In 2011 she achieved 7th position Top Agent based on units sold in Harcourts South Africa. At the annual Harcourts SA conference in June 2012 she also received Platinum status as Top Rental Consultant 2nd position in Rentalsdotcom South Africa. Received a Lifetime Award Diamond Pin having sold property to the value of R100,000,000. Current figure of value of property sold amounts to R150,000,000. Her educational degree does however not go to waste, Adel has also been appointed as Regional Facilitator for Harcourts South Africa and has been responsible for the training of all the Harcourts Agents in the North West. Living the values of her brand: Being Courageous; Doing the Right thing; People First; and Fun and Laughter. Adel and her teams at both Harcourts and Rentalsdotcom serve clients with passion, integrity and dedication. Admitting that a sales career is a talent is an understatement to this enthusiastic and dedicated individual. Leo clearly states that his career is his life and something that he values. 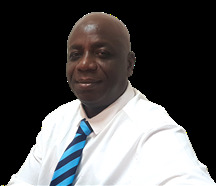 Leo started in sales and marketing straight after school in the eighties as a travel agent and thereafter moved to bulk sales in the Cosmetic industry and then ventured into the Insurance industry as a Financial Consultant. Joining Harcourts Real Estate as Property Consultant came naturally especially in the Residential market. Though more advanced Leo finds it more fulfilling knowing that at the end of the day his clients are satisfied in him having sold their most prized possession and customers settle comfortably into their new homes. His motto "The Value of Money is to make someone else Happy" lines up with the Values of Harcourts as a company Putting People First. 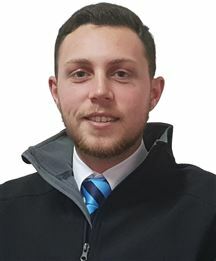 An enthusiastic and vibrant agent who is focused on being an excellence property consultant that will go the extra mile to assist clients in the rental and sales processes.